Ein leistungsstarkes und umfassendes Dienstprogramm für optimale Sicherheit und Leistung eures PC. 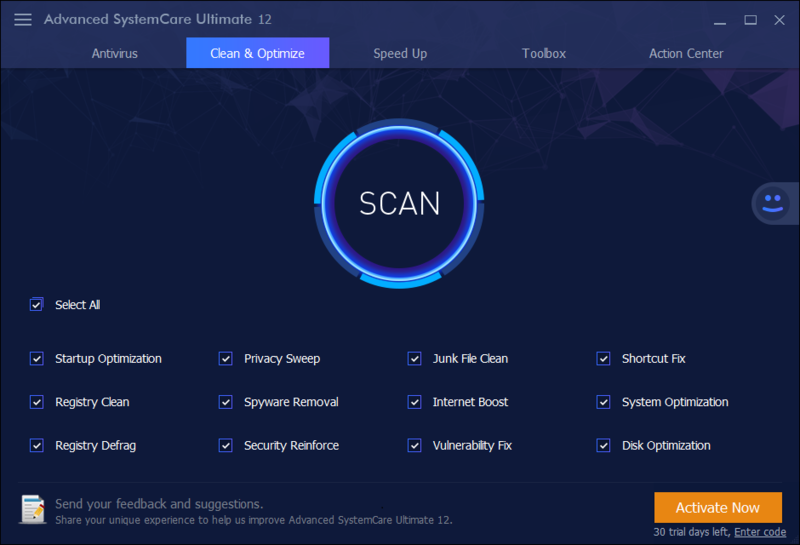 Advanced SystemCare Ultimate 12 Pro war am 25. Januar 2019! als Giveaway verfügbar! Mit der um 15% größeren, neu strukturierten Antiviren-Datenbank hilft Advanced SystemCare Ultimate 12 den Anwendern, in Echtzeit weitere Computer-Bedrohungen wie Trojaner, Spyware, Ransomware, Rootkit und Cryptojacking zu verhindern, zu erkennen und zu entfernen. 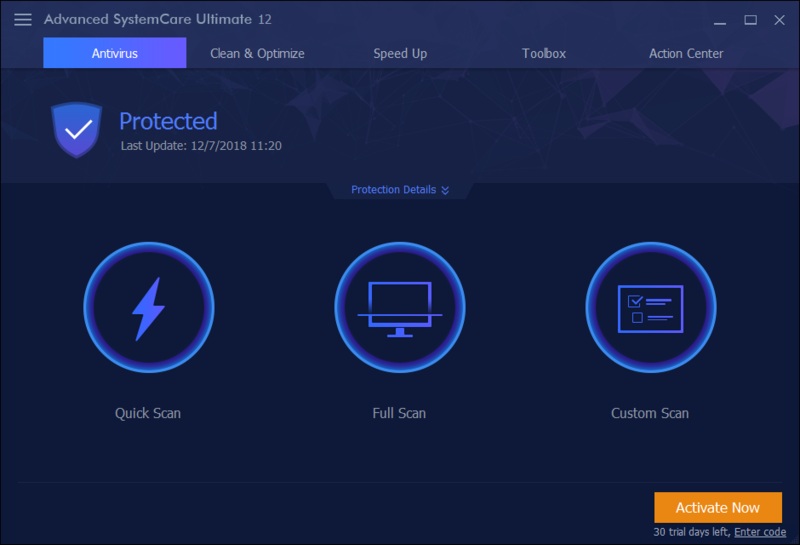 Advanced SystemCare Ultimate 12 schützt auch empfindliche Daten und wichtige Dateien. Die Privacy Shield-Funktion kann verhindern, dass unautorisierte Prozesse auf Programme und Dateien von Benutzern wie Browserdaten, lokale Email-Daten, Kontakte, OneDrive und Dropbox zugreifen. Darüber hinaus schützt die neue Browser-Anti-Tracking-Funktion die digitalen Fingerabdrücke von Benutzern vor böswilliger Nachverfolgung, indem Browsing-Daten für gängige Browser wie Google Chrome, Mozilla Firefox, Microsoft Edge und Internet Explorer automatisch gelöscht werden. Darüber hinaus bringt das Modul zur Systemoptimierung auch eine große Verbesserung mit sich. Mit der erweiterten Scan-Engine und der Erkennungsdatenbank können mindestens 9% mehr Mülldateien entfernt und über 30% Startvorgänge für einen schnelleren Systemstart optimiert werden. Mittlerweile wurde der Leistungsmonitor für eine benutzerfreundlichere Benutzeroberfläche neu gestaltet, um Benutzern zu helfen, die Systemressourcen optimal zu nutzen und die Systemleistung mit nur einem Klick zu steigern. Bitte beachtet: Die Lizenz ist sechs Monate gültig. 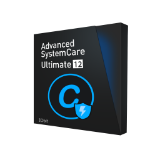 I already have Advanced SystemCare Ultimate 12 Pro. It is a really good program. The only thing I would caution against is too much deep registry cleaning. I think registry cleaning should be kept to a minimum to avoid destroying your system. Indeed, ASC destroyed my system several times. I had to perform system restore. This is why I NEVER activate the registry cleaner. The other modules are good. Robert Fare, Indeed, ASC destroyed my system several times. I had to perform system restore. This is why I NEVER activate the registry cleaner. The other modules are good. DON'T install if you use Malwarebytes, as Malwarebytes will quarantine just about everything to do with this software. It's a legal dispute that's caused this I think, but regardless don't do it. I would suggest to make a complete backup from the current system or creating a system restore point before installing todays offer, in case something gets messy along the way. And as others mentioned, stay away from the registry parts (especially Deep Clean that is along Registry Clean and Registry Defrag), there were lots of complaints about it in the past, it's one of those tools that searches for empty registry keys too, some programs may need them to function properly, so they shouldn't be touched at all. Or in the main window (Clean & Optimize tab), hover over Registry Clean and click on the gear that appears right behind it. I would also suggest to keep AutoCare disabled and instead only select the options you want manually from the main window (Clean & Optimize tab) and then select Scan. From what i could see (or couldn't in this case), there is no way to close ASC completely without using the Taskmanager, which is kinda sad as it defeats the possibility of on-demand usage. I would suggest to make a complete backup from the current system or creating a system restore point before installing todays offer, in case something gets messy along the way. And as others mentioned, stay away from the registry parts (especially Deep Clean that is along Registry Clean and Registry Defrag), there were lots of complaints about it in the past, it's one of those tools that searches for empty registry keys too, some programs may need them to function properly, so they shouldn't be touched at all. To check it's status or deactivate it: Top left in the main window > Settings > Clean & Optimize > Registry Clean > Deep Clean Or in the main window (Clean & Optimize tab), hover over Registry Clean and click on the gear that appears right behind it. 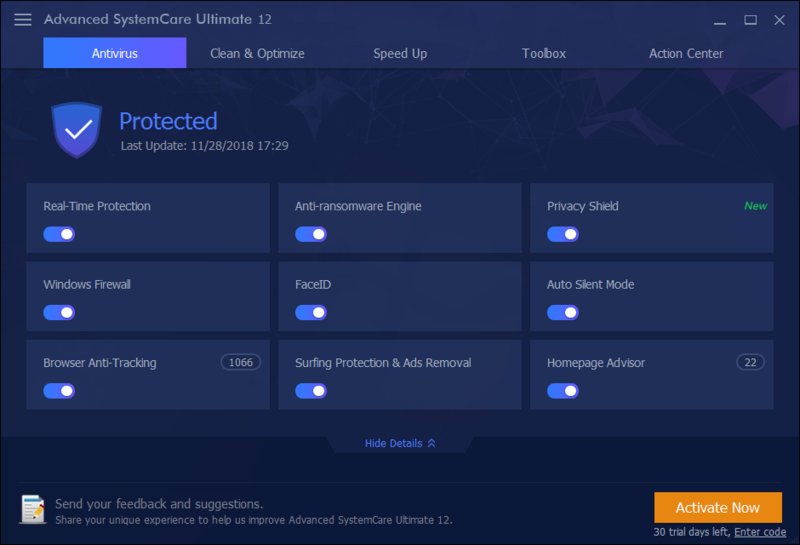 I would also suggest to keep AutoCare disabled and instead only select the options you want manually from the main window (Clean & Optimize tab) and then select Scan. To check it's status or deactivate it: Top left in the main window > Settings > Automatic Service > AutoCare From what i could see (or couldn't in this case), there is no way to close ASC completely without using the Taskmanager, which is kinda sad as it defeats the possibility of on-demand usage. Note, the "pro" version reverts to the free version after the license expires, and all you lose are some tools, and cleaning depth, otherwise, all IObit programs ( except IObit Malware Fighter ) work their essential offering free. All IObit programs install without having to uninstall prior versions. Some updated versions inherit licenses from prior versions, but don;t take the license directly, so keep prior installers and their licenses to reinstall on demand, then update. For those uncomfortable with autoloaded background programs installed by every single IObit program, just run free Microsoft SysInterals Auto Runs and uncheck all IObit entries and reboot after running ANY IObit program. The background IObit programs are not malicious, but some folks don't like the resulting advertising nags, auto updates, and notifications. When I do run the Clean And Optimize, Scan, I turn off most things, and uncheck many things in the results as I prefer my own settings for things like timeout delays and such, which I set elsewhere ( free Xteq X-Setup ). I'm equally selective when using IObit Uninstaller and IObit Smart Defrag and IObit Driver Booster -- never fully automatic, I prefer selective tools, and I undo any autoruns immediately after and reboot. Remember, we ourselves are 100% responsible for our computers always, never trust that any vendor ( especially Microsoft and Intel ) have our backs, and IObit is no better or worse, it's just a tool to be uses accurately, appropriately, intelligently, and responsibly. Make frequent restore points at least.
. 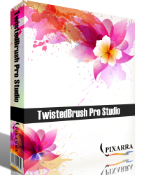 Note, the "pro" version reverts to the free version after the license expires, and all you lose are some tools, and cleaning depth, otherwise, all IObit programs ( except IObit Malware Fighter ) work their essential offering free. All IObit programs install without having to uninstall prior versions. Some updated versions inherit licenses from prior versions, but don;t take the license directly, so keep prior installers and their licenses to reinstall on demand, then update. For those uncomfortable with autoloaded background programs installed by every single IObit program, just run free Microsoft SysInterals Auto Runs and uncheck all IObit entries and reboot after running ANY IObit program. The background IObit programs are not malicious, but some folks don't like the resulting advertising nags, auto updates, and notifications. Otherwise, I depend on IObit tools frequently, though I seldom run any IObit main program's auto feature, that is, I don't do the main menu cleanup, but I use the Toolbox: -- System Control -- Program Deactivator -- Default Program -- Startup Manager Speed Up: -- Deep Optimization Action Center: -- Update ( other programs ) When I do run the Clean And Optimize, Scan, I turn off most things, and uncheck many things in the results as I prefer my own settings for things like timeout delays and such, which I set elsewhere ( free Xteq X-Setup ). I'm equally selective when using IObit Uninstaller and IObit Smart Defrag and IObit Driver Booster -- never fully automatic, I prefer selective tools, and I undo any autoruns immediately after and reboot. Remember, we ourselves are 100% responsible for our computers always, never trust that any vendor ( especially Microsoft and Intel ) have our backs, and IObit is no better or worse, it's just a tool to be uses accurately, appropriately, intelligently, and responsibly. Make frequent restore points at least. ; - ) .